You are viewing an auction for 2x Professional Salon Stool. 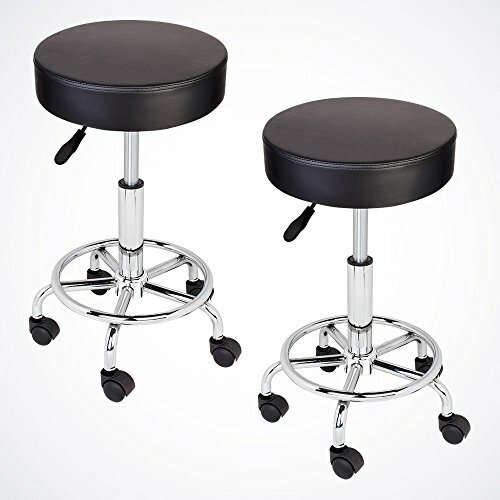 This stool is ideal for salons, tattoo shops, barbers, beauticians and doctor offices. Comfy contoured PU leather seats features an 360 degree swivel and dual wheel casters allow for easy movement. Adjustable height with a chrome finish steel base. Be sure to check our store for more styles and colors. Seat Height: Adjustable, 19" to 25"